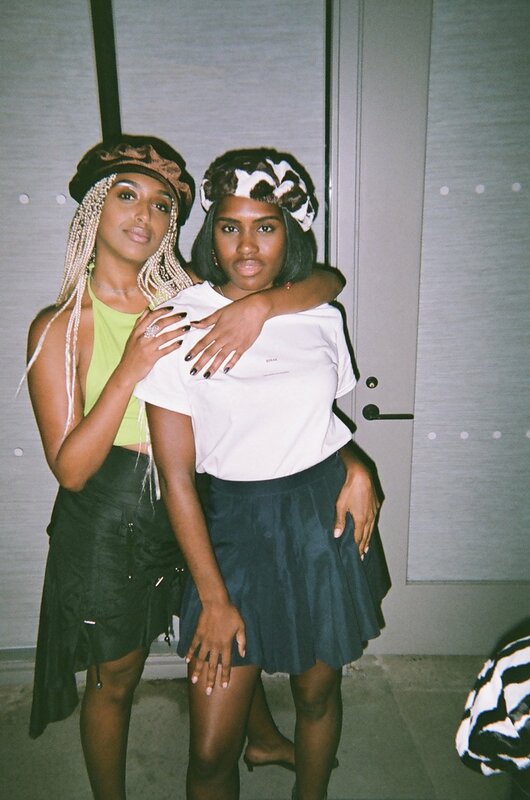 Shelby (pictured right) and her business partner Banna (left) of Glazed NYC shot on film at BREAK NYFW FW18 by Stonie Blue. Honorary Break Babe, longtime friend, runway choreographer for Break NYFW FW18 and 1/2 of Glazed NYC, Shelby Macklin is quite literally a woman of many hats. We caught up with her to chat about the inspiration for the show and how she feels about breaking nyfw. My business partner at Glazed NYC, Banna, went shopping at The Break where she and Hannah instantly fell in love. Hannah picked up Glazed as her first wholesale brand and we threw an incredible event last summer for our launch, and again this summer for our most recent Bijoux collection. The Break and Glazed are the perfect match for each other and collaborating is so easy for us because we share the same love for classic wardrobe essentials with a modern twist. What was your inspiration behind the runway choreography? Music choices? The Break is more of a community than a store to me. It's a space filled with uplifting, stress-free vibes so I really wanted to bring that same energy to the runway. Rocco helped me organize and come up with ideas for the runway show and we wanted the models to just be themselves and have fun. We took some inspiration from 80s & 90s runway shows, and it was important to include groups and pairs walking down as a celebration of the unity and friendship that the Break is known for. Music was a collaborative effort between Hannah, Blue and myself. We made sure it was high energy so everyone could dance during the show. Blue created an iconic mix for the runway and a playlist based on the energy of the night that you can listen to on The Break’s Spotify account! Have you ever done anything like this before? Would you want to do more in the future? I've done cheerleading choreography and music before but this was my first time doing runway choreography. I would love to get more into it though, choreography has always come easy to me so it's really more fun than anything. Most exciting aspect? Most difficult? Most exciting aspect was Hannah giving me full creative control in bringing all of my ideas for the show to life. There truly wasn’t a difficult aspect, everyone was so easy to work with and happy to be there. Micheal walking down the runway on his cell phone! That was not planned lol. 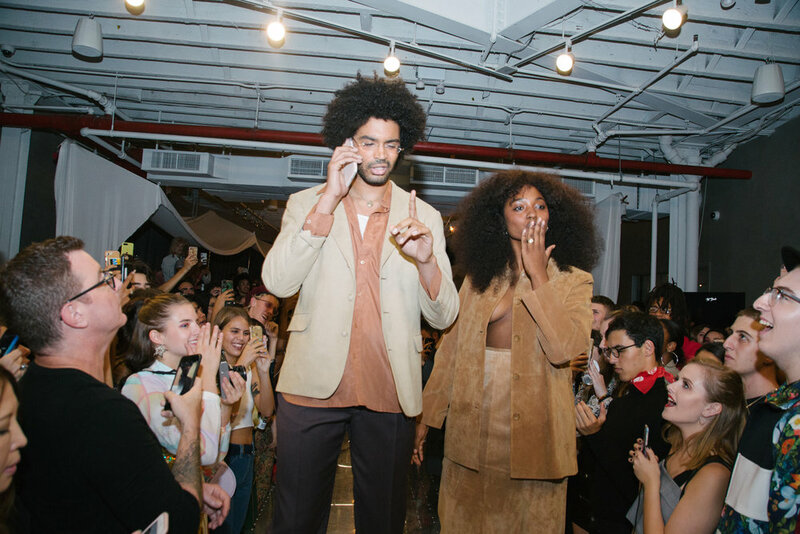 Michael and Gabrielle on the runway shot by BFA photographer Mina Magna. I'm definitely dancing and hyping up my friends! I don’t like one of my tattoos anymore lol. Favorite moment from BREAK NY? BREAK NYFW FW18 runway finale shot by Elena Mudd.